There are some days when I feel like I fall asleep on the job, like when I realize I haven't posted a blog about Boiling Crab & Shrimp in Pyeongtaek when this is THE place I go for cooked seafood in town. 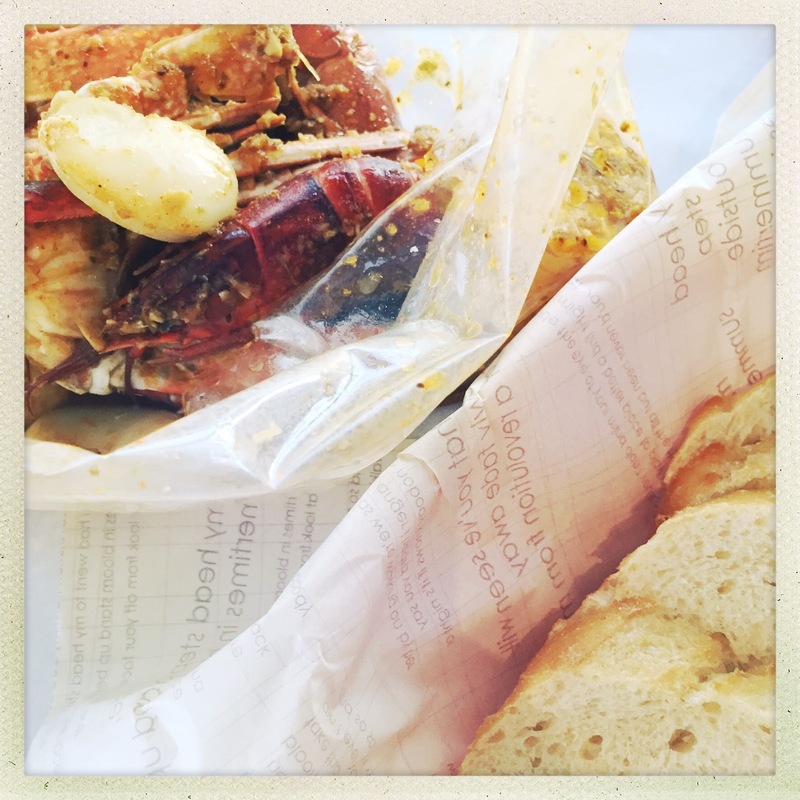 I love the messy bags of fresh seafood that make me feel like I'm in a little US port town stuffing my face. 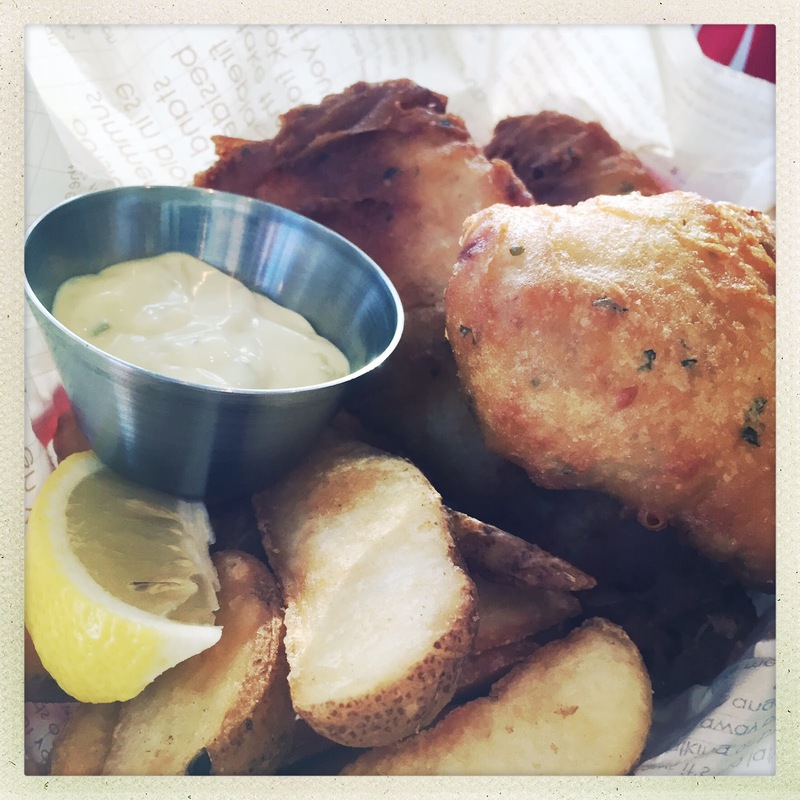 As a person that often has to eat dinner alone, due to a work schedule that conflicts with others, I like the fact that I can come here and, for 15,000 or less, I can get a nice seafood dinner in a relaxed environment. The chill, bright atmosphere is relaxing and I like to watch the military base outside the window. Since I never go there it's like seeing into a hidden world. 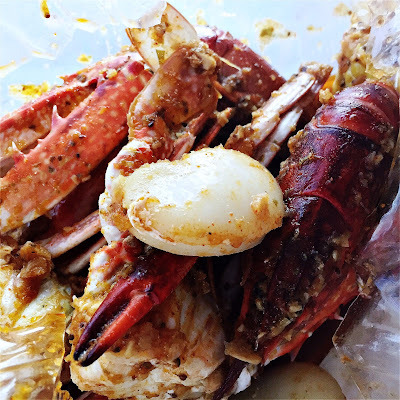 Of course, if you have a group of people then Boiling Crab and Shrimp becomes even more of a deal with large bags of seafood price affordably for your hungry family. 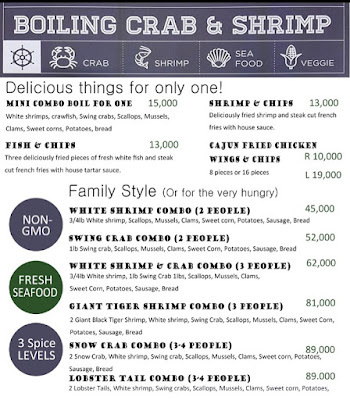 The Snow Crab back works out to be 23,000 - 29,000 ish per person when you split it. 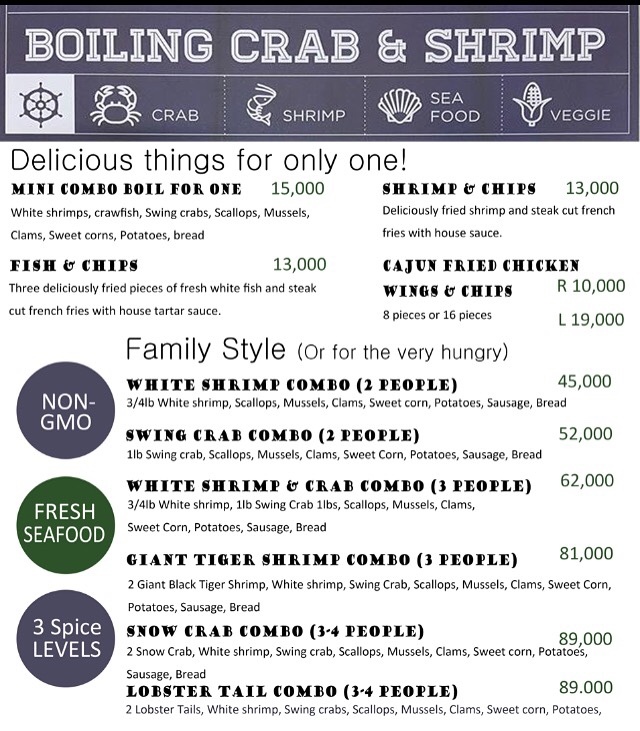 That's an awesome price for that much quality seafood so grab your friends and make a night of it at Boiling Crab & Shrimp.